Situated near the Beltline, one of the nation’s most innovative urban green spaces, Inman Quarter embraces the spirit of contemporary city living. 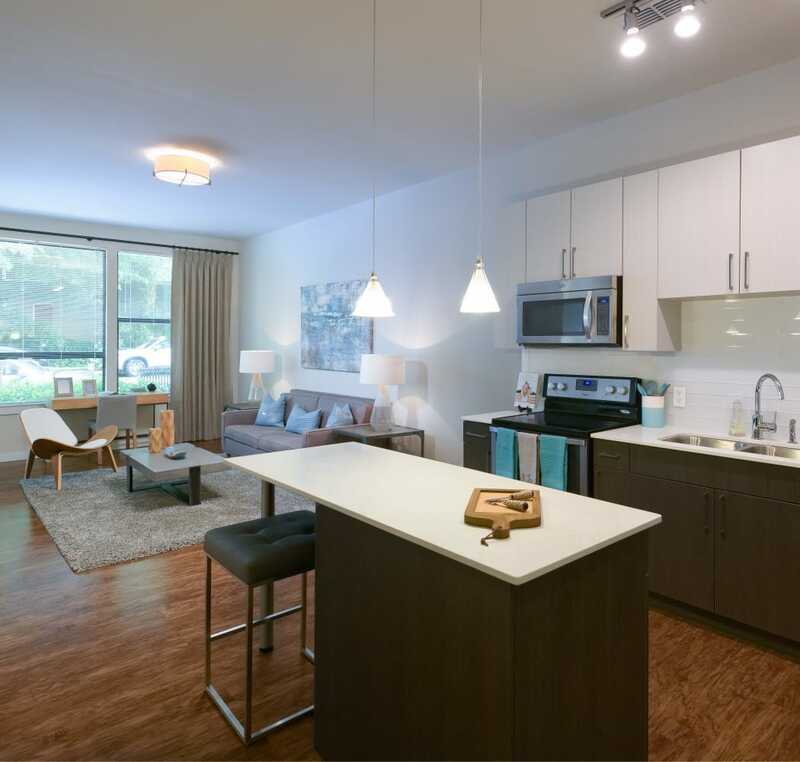 Make your home in one of our studio, 1 & 2 bedroom apartments in Atlanta, GA. Each of our open and spacious floor plans are finished with stunning wood-style floors and detailed with high ceilings. The heart of your new apartment is the fully equipped kitchen, outfitted with stainless-steel appliances, high-end quartz countertops, and exceptional two-tone kitchen cabinetry. Here, you can spend your days exactly as you please. Exercise your mind and body at the state-of-the-art fitness center, complete with free weights and cardio equipment. When you need to relax, spend an afternoon lounging at the resort-inspired, saltwater swimming pool. Cap off the evening by taking in scenic city views from the rooftop terrace at the resident clubhouse. Experience a new standard of urban living at Inman Quarter. Contact our friendly leasing team to schedule your tour of our pet-friendly apartments for rent.